If you're setting up a fresh computer I strongly recommend you make a visit to Ninite. 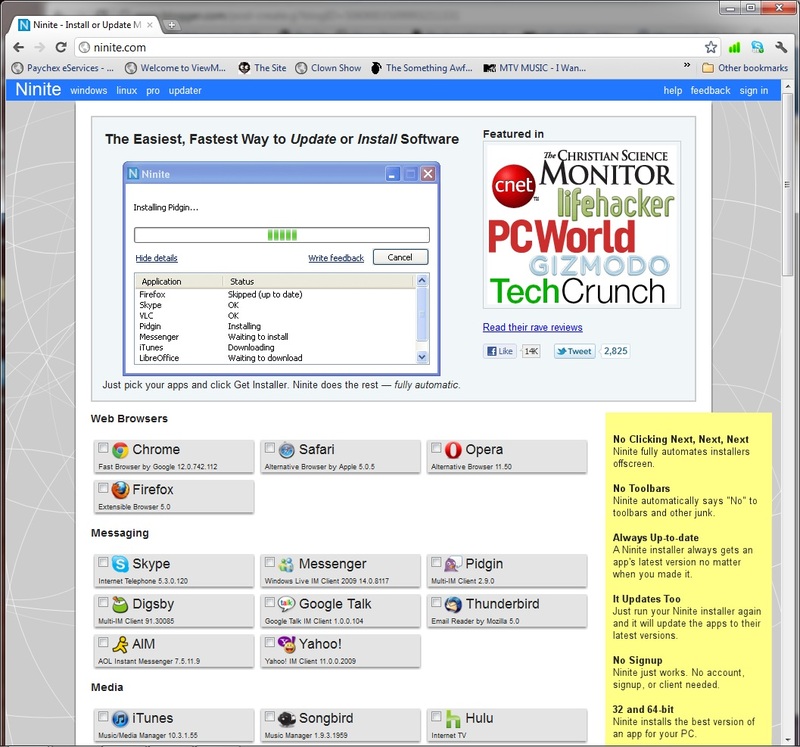 It's a site that offers all of the best free Windows and Linux software from a single web page and a single download. 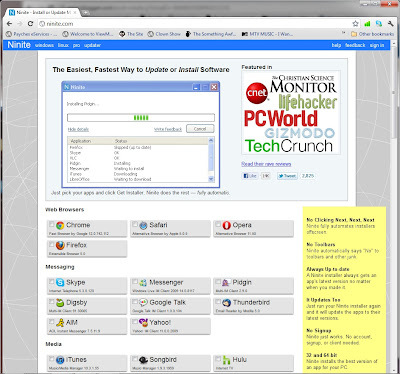 How it works is you select all the software that you want and then click the Get Installer Button. Boom, a single installer is downloaded and once you run it, you've got all the software. My only reservation for Ninite is it will install the software on your C drive. I could not find a way to change the destination. I recently built a computer with a 60GB solid state hard drive, and I've tried to keep most of the programs off of it.